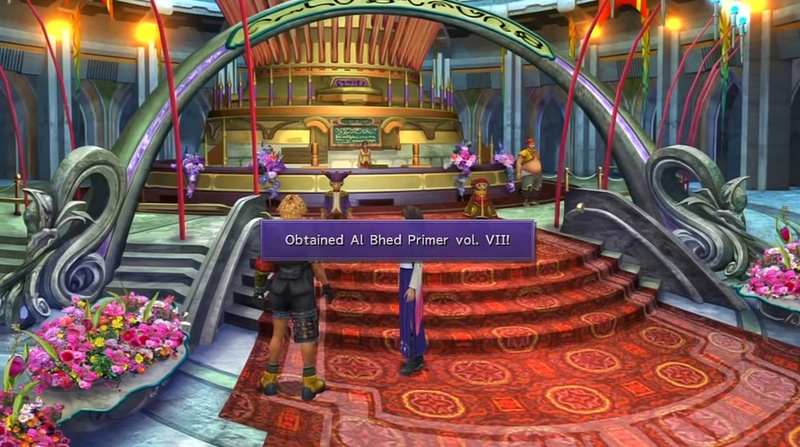 A complete walkthrough for Luca in Final Fantasy X (FFX), including enemies encountered, obtainable items, and boss strategy guides. Hi-Potion (x2) Locker room to the left of the Besaid Auroch’s. Al Behd Primer vol. VI Locker room to the left of the Besaid Auroch’s. Tidal Spear (Kimahri’s Weapon) Chest at Dock 1. Phoenix Down (x2) Chest at Dock 2. 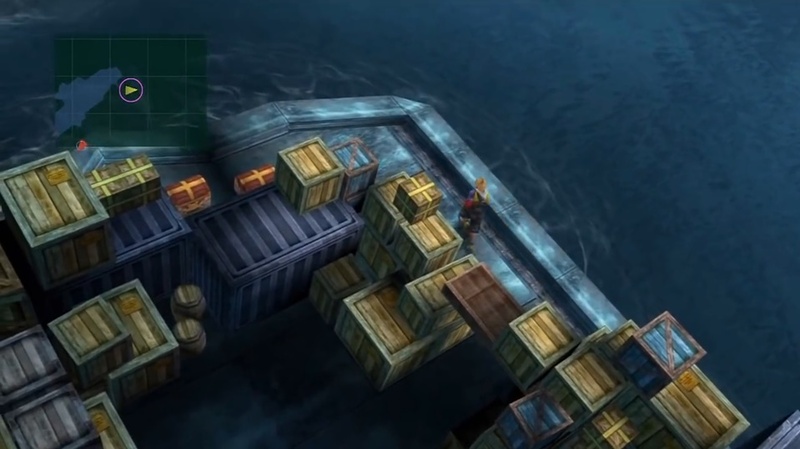 HP Sphere Chest at Dock 5 (hidden path behind the boxes). Magic Sphere Chest at Dock 5 (hidden path behind the boxes). Al Behd Primer vol. VII On the carpeted steps of the theater’s reception area. Strength Sphere Reward for winning the Blitzball game. Meet Maester Mika at Dock 3. Head back to Dock 1 and lend O’aka XXIII money. Head south from Dock 5 to arrive at the bridge. Watch the cutscene. 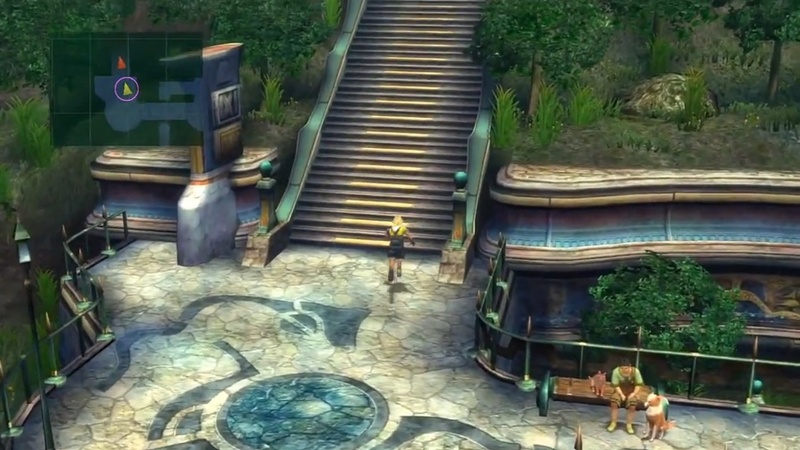 Head to Luca Square for another cutscene. Enter the tavern in Luca Square. The tarvern is the building north of the square. Watch the cutscene. Return to Besaid Auroch’s locker room. 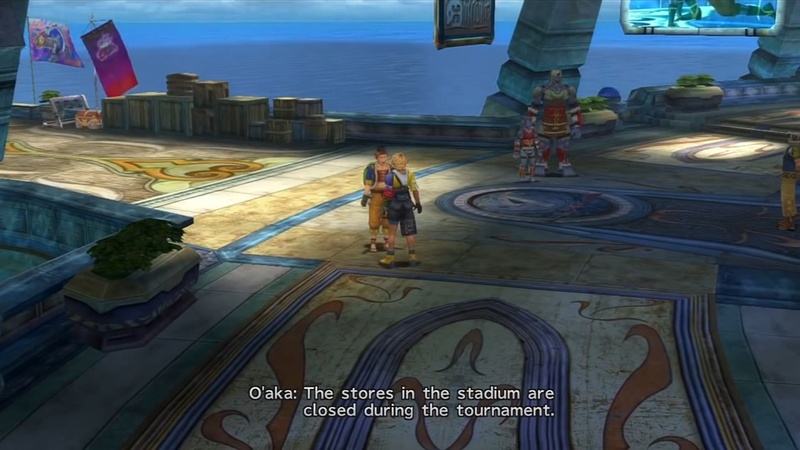 Talk to Wakka to begin the Blitzball match. Battle Sahagins, Vouivre, and Garuda. After the scene where Yuna barges into the locker room, head to the locker room on the left. Inside the room, you can pick up Al Behd Primer vol. VI behind the Blitzball player wearing green. Walk to the end of the room to find a chest with two Hi-Potions. Exit the room and take the stairs down. Make a left after going down the stairs to the docks and arrive at Dock 1. Meet O’aka XXIII and give him money again or purchase some of his newly-stocked wares. Follow the path going left to a chest next to a row of boxes to get 600 Gil. Further down the path is another chest containing Tidal Spear. Afterward, make your way to Dock 2 by going northeast from O’aka. Get two Phoenix Downs from the chest nearby. Then, head to Dock 5, ignoring Docks 3 and 4. When you get to Dock 5, squeeze down the path behind the stack of boxes, marked as a narrow path on the map. This leads to chests containing an HP Sphere and Magic Sphere. Head south from Dock 5 to arrive at the bridge for a cutscene. Afterward, proceed north to reach the theater. 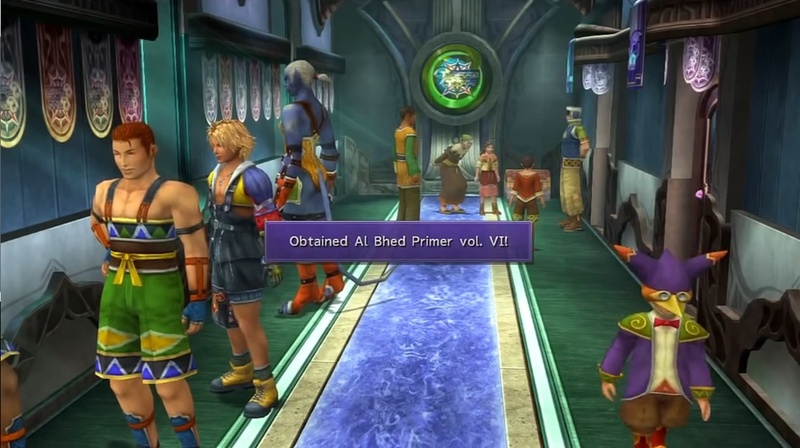 Go inside and get Al Bhed Primer vol. VII near the carpeted steps of the reception area. Head back to the bridge and go down the path leading to the square. From there, you can go northeast to find some stairs beside the cafe to get 1,000 Gil inside a chest. You can return to Dock 1 to the chest where you found 600 Gil to find that the chest has been replenished. When the battle begins, you will find a crane nearby that you can use to defeat Oblitzerator. Once you interact with the crane, however, it will run out of power. To power it up, have Lulu cast Thunder on the crane three times. 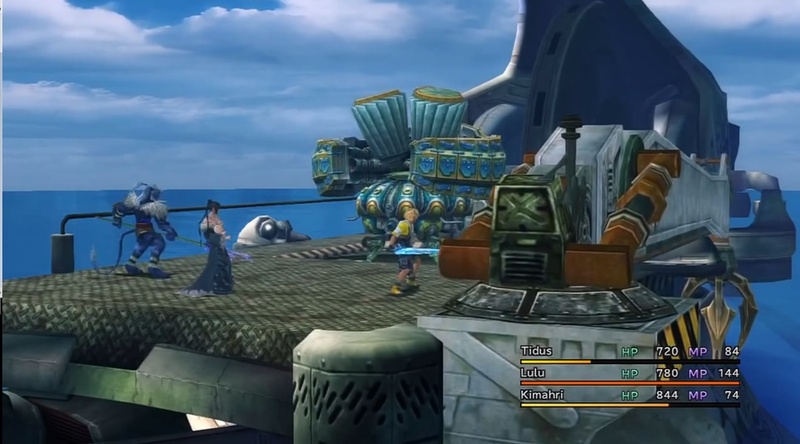 When the crane is operational, have Tidus use it to take out a large amount of the boss’ HP. You can then finish Oblitzerator off easily. 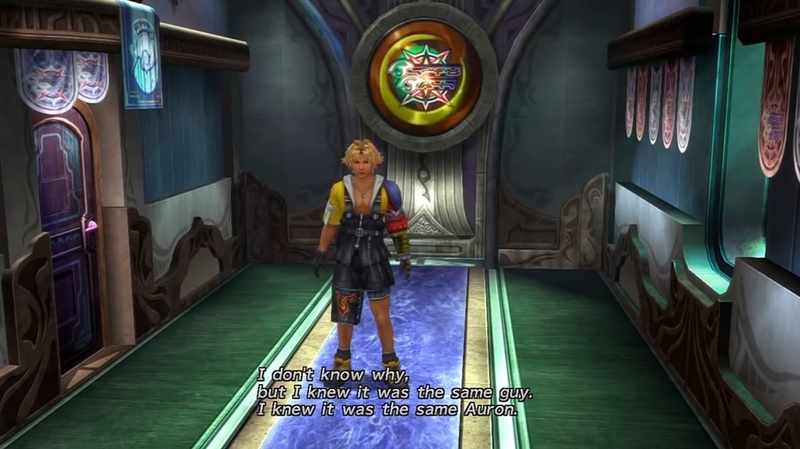 Winning the Blitzball matches will be quite challenging, as most of the players in the Besaid Aurochs, except for Tidus and Wakka, have very poor stats. In general, you will want to switch controls from Auto to Manual A to control the players by yourself. As a general rule, do not attempt to shoot from far away or when too many defenders are near the goal. You should also try to only shoot when not blocked by a defender. During the first half of the game, focus on maintaining possession of the ball. It is quite risky to attempt any shots, so you might want to try and score in the second half after you are able to use Jecht Shot. Your players will have gained a few levels after the first half, allowing them to stand a chance against the opposing team. Having Jecht Shot equipped for the next half will also help you get in some goals to win the game. 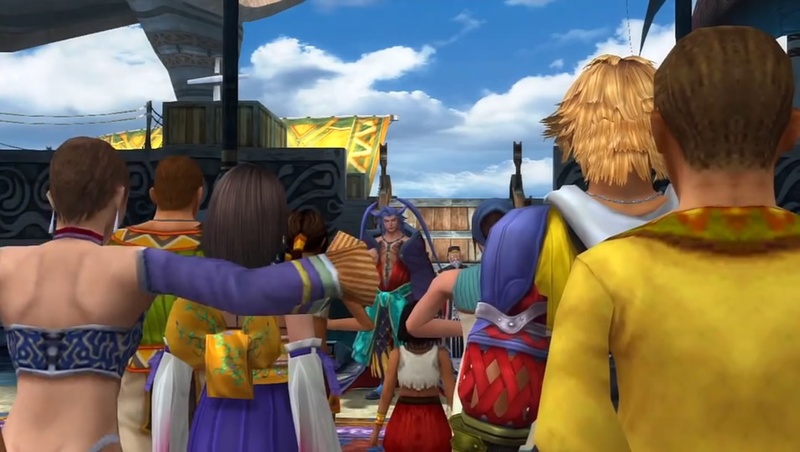 It is important to note that Tidus will be replaced by Wakka very early in the second half, so try to score a goal early on. When the second half starts, focus on stealing the ball and passing it to Tidus as much as possible. 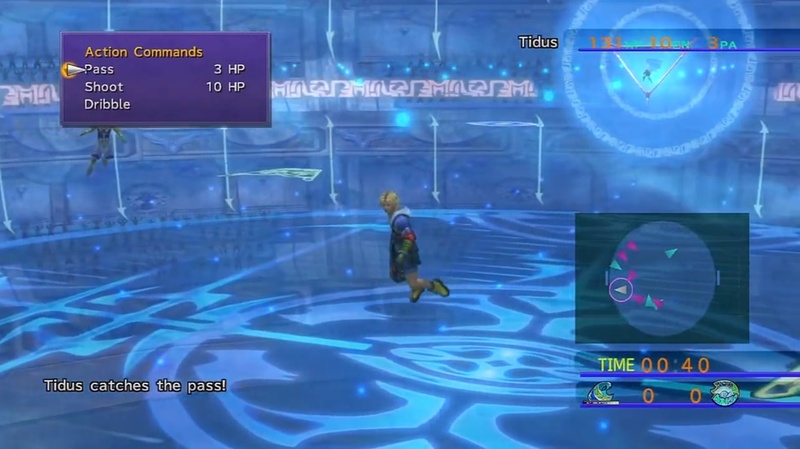 When Tidus has the ball, quickly make for the opposing team’s goal. Jecht Shot can be used when you are blocked by two or more defenders. If you manage to get ahead by even one point, you can focus on holding the ball until time runs out after Tidus is replaced by Wakka. Just pass between Wakka and the other players. You will receive a Strength Sphere if you win the match.